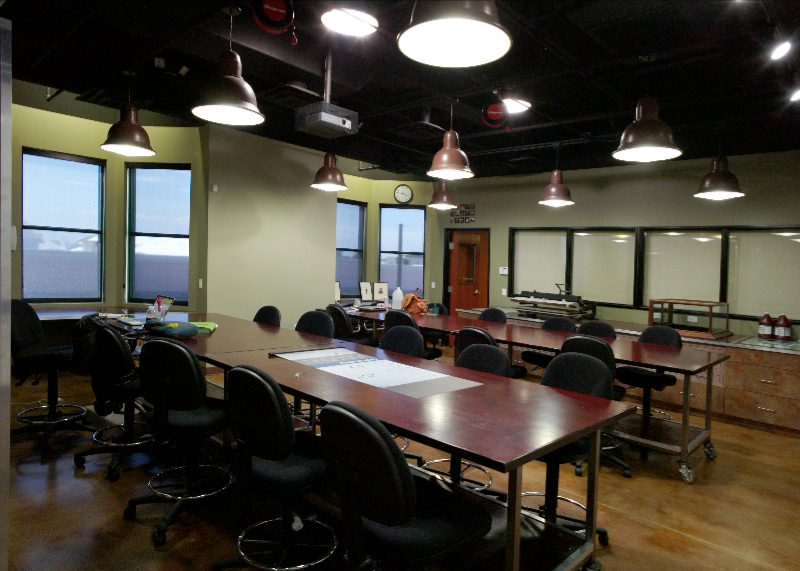 Use the lab to create your individual work or reserve space for a private group event. Art Intersection includes three galleries showing art from emerging and established artists and a workplace for individuals to create their own art. If you need a black and white darkroom, to use Photoshop or Lightroom, to make digital prints up to 44-inches wide, or make platinum prints, our facility is available for you. Our staff is available to assist in the use of the equipment, or if you are new to a process we offer 1-on-1 tutorials. The space is also available for groups to hold events. 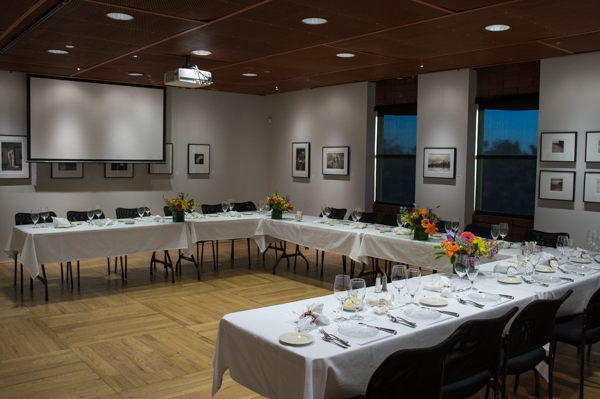 We can help you plan your next event from an off-site meeting to a reception in our gallery space or lab space. 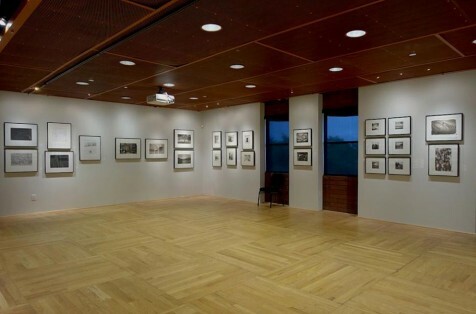 Art and photography groups can use the lab for workshops and lectures. Look further down on this page for information about private events. 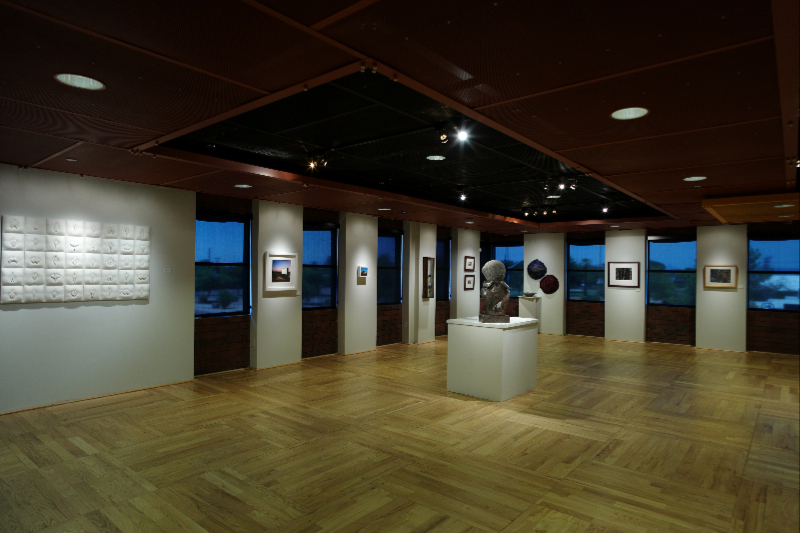 Wood floors, brick walls, and metal ceilings blend to create an inviting environment welcoming visitors to enjoy curated exhibitions in the Galleries at Art Intersection. 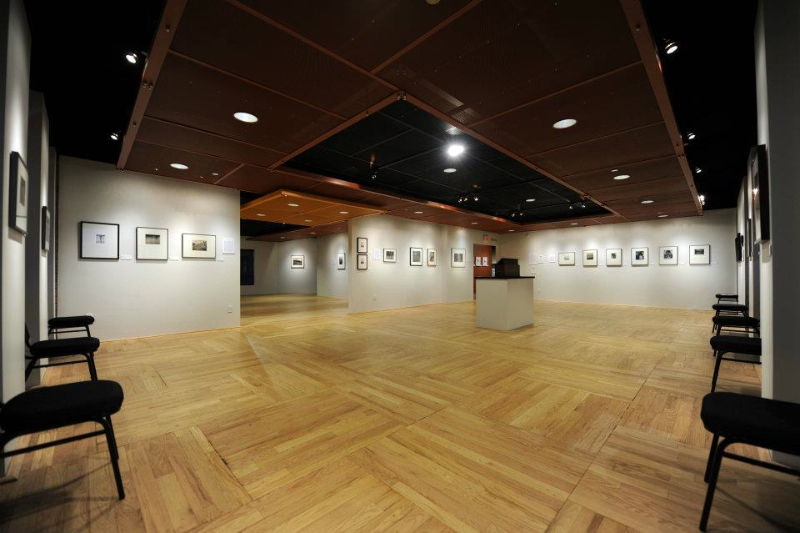 This is the Exhibit space at Art Intersection serving to support the gathering of artists and art enthusiasts for lectures, seminars, and meetings. Three galleries make up the Gallery space at Art Intersection. 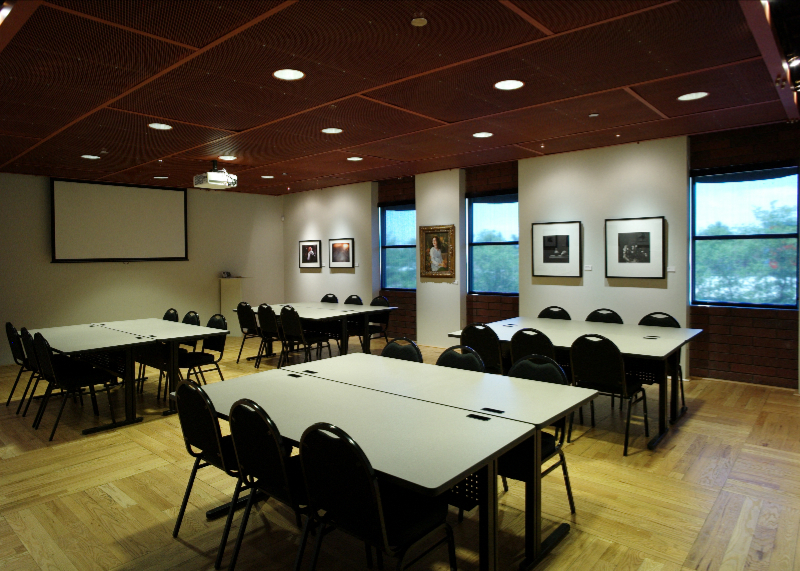 Ryan Gallery additionally serves as a conference room for lectures and classes, and accommodates up to forty people. 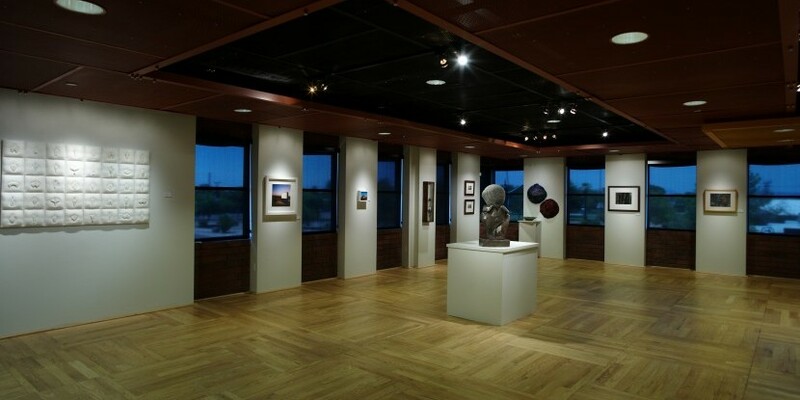 The North and South Galleries support exhibitions and private events with the added ambiance of second story views of the Gilbert Heritage District. 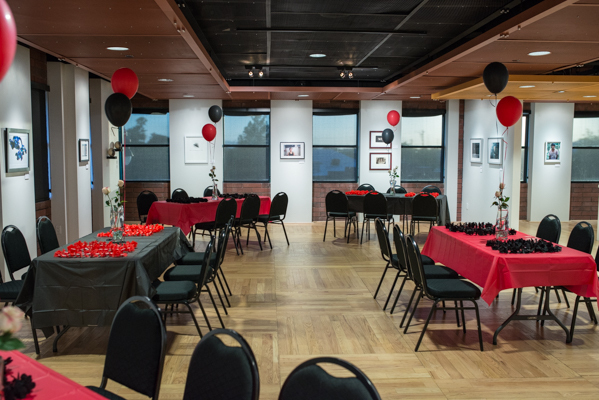 Private groups can rent this venue for their special events. 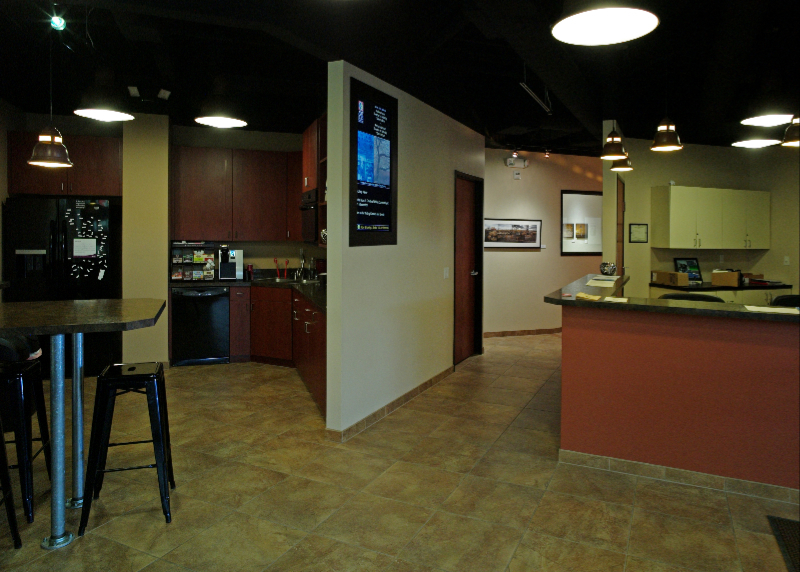 A small kitchen area with a breakfast bar, microwave, refrigerator, and coffee machine, supports the refreshment needs of events held in the Galleries. The Photographic Arts Lab offers a fully outfitted facility for the beginning, amateur, and professional photographer to practice the art of photography. This is the Learn and Create space for photography at Art Intersection where we nourish the appetite of artists exploring photographic processes spanning three centuries. Nineteenth century print making, twentieth century gelatin-silver (black and white) film and printing, and the modern twenty-first century digital photography, scanning, and printing. We can can transform digital images to platinum prints making traditional and contemporary techniques timeless and interconnected. 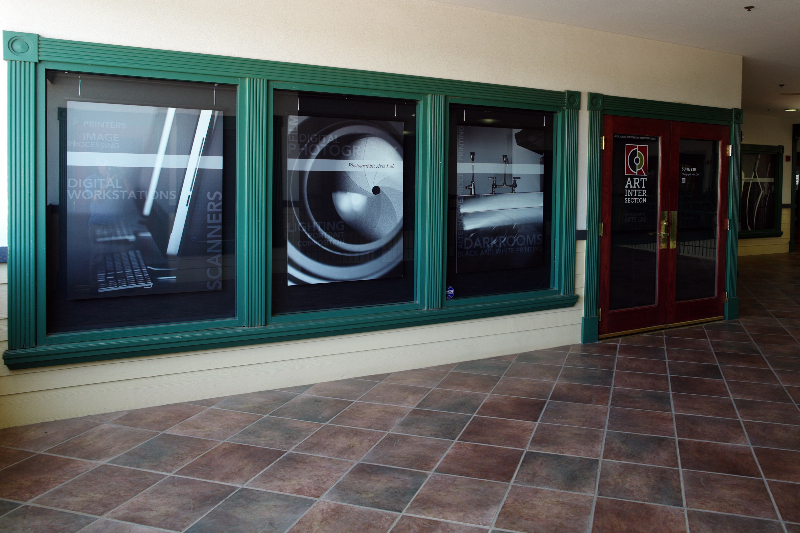 Black and white film developing and print making are alive and thriving at Art Intersection. 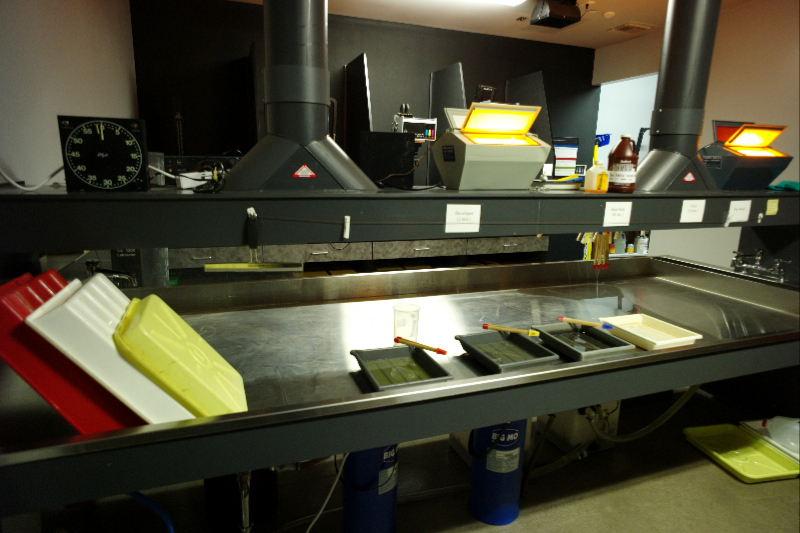 Here the photographer can develop and print using the gelatin silver process in two custom built darkrooms. 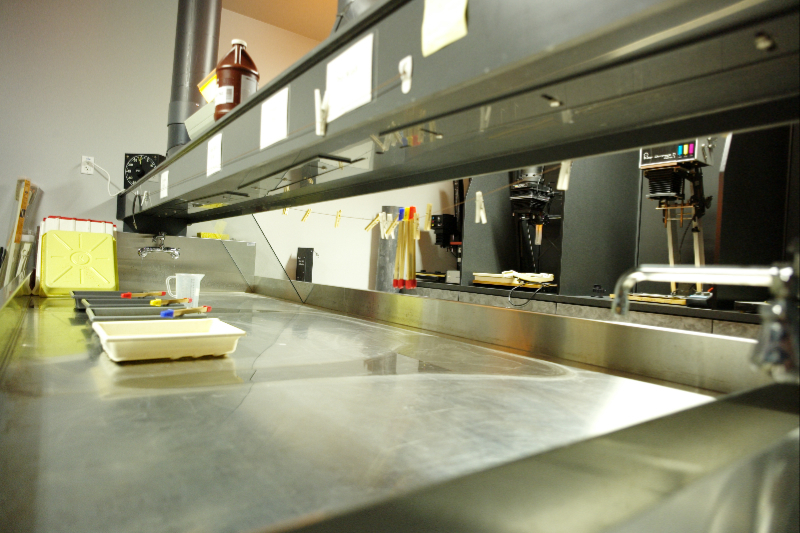 There is also a commitment to alternative photographic processes in the custom built Alt Process Lab. This dedicated space provides the necessary equipment for coating, exposing and developing hand coated emulsion such as cyanotype, kallitype, platinum, palladium, gum bichromate, and wet plate collodion prints. From digital or film capture to print, this digital darkroom offers the tools and equipment for the photographer to use modern digital equipment to create their images. A special focus of this lab is to create digital negatives for black and white and alternative photographic process printing. 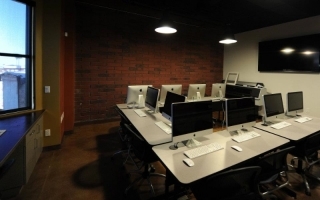 We teach with the latest software tools available for digital editing and production. Our A/V equipped classroom includes a 20-foot magnetic critique wall, mat cutters, a mounting press, and worktables. The classroom connects the digital and darkroom labs in that special way to support our mission of Learn – Create – Exhibit. This learning environment supports hands-on workshops, critiques, and lectures. 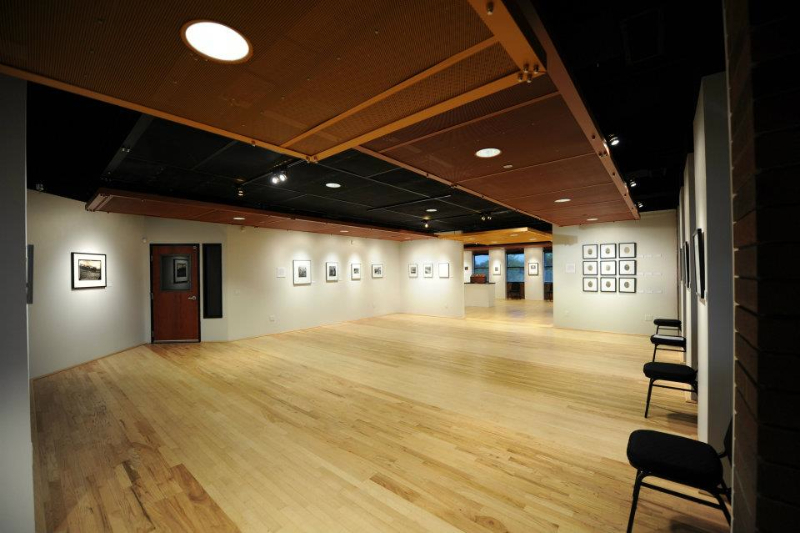 The unique space at Art Intersection may be the right venue for your next offsite meeting, corporate mixer, or reception. 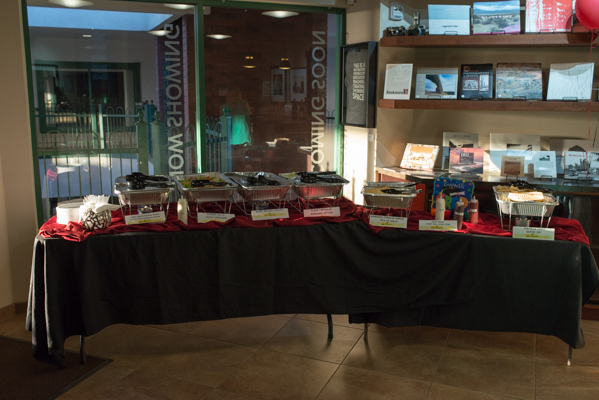 A variety of nearby restaurants offer catering services. 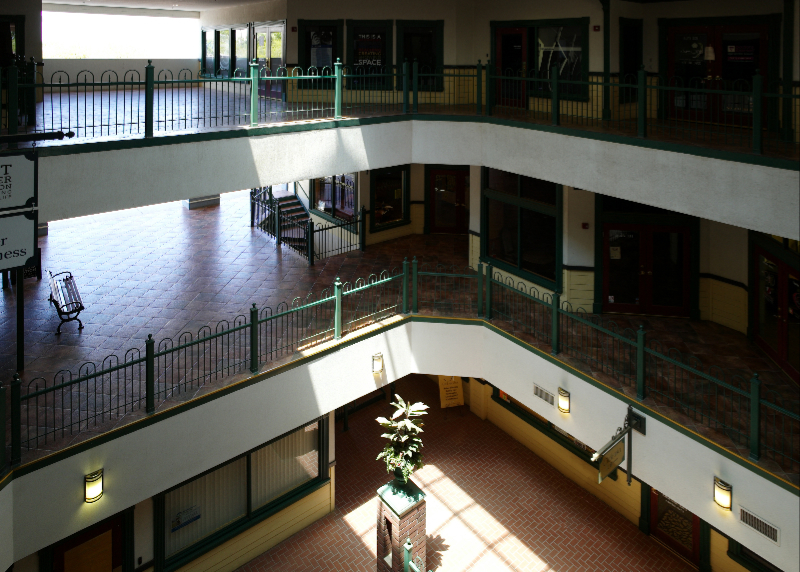 The Heritage Court Building provides ample parking and a handicap ready elevator. Please contact info@artintersection.com to discuss your needs. This space is well equipped for lectures and classes up to forty people. Configured as a conference room, this space can include eight computer tables with seating for three per table, WiFi, digital projector, and a sound system with wireless microphone. 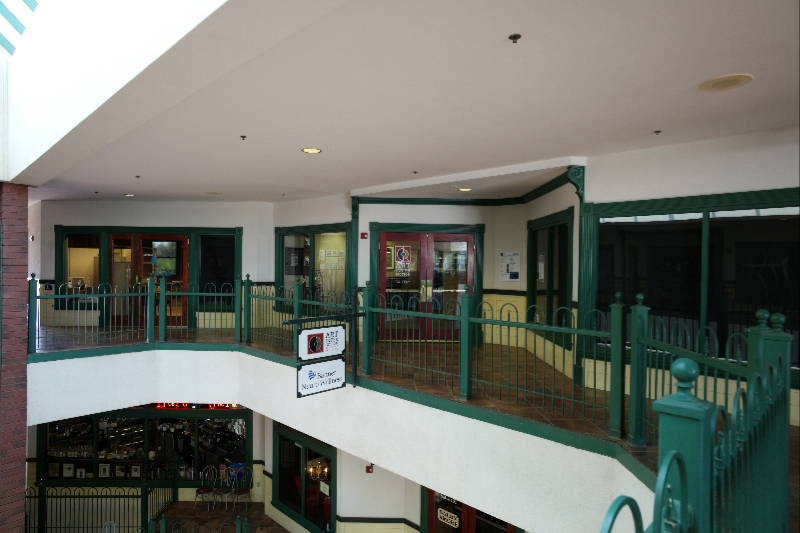 These main galleries consist of two connected rooms with second story views of the Downtown Gilbert Heritage District. The ambience of the space is suitable for private receptions or executive mixers. This learning environment supports hands-on workshops, critiques, and lectures. It is equipped with natural color balanced lighting, four large worktables with seating for twenty-four students, a large countertop workspace with two built-in light tables, a 20-foot, lighted, magnetic critique wall, and a 12-foot counter with a large 2-foot x 3-foot stainless steel sink. From capture to print, this digital darkroom offers the tools and equipment for the digital photographer. This lab includes twelve iMac computers, film scanners, large archival ink printers, and counter top work space.